JOLO Winery & Vineyards’ 2018 Golden Hallows brought home a prestigious Platinum Medal and 3 Gold Medals earlier this week at the 2019 International Winemaker Challenge Wine Competition that took place in San Diego, California. 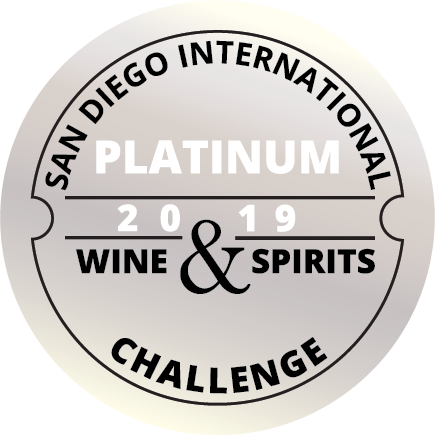 The 10th annual Winemaker Challenge International Wine Competition took place in San Diego, California, home of the “Challenge” series of wine & spirits competitions. Winemaker Challenge kicks off the series as the first major international wine competition of the year. Judges evaluate wine entries in teams of three, awarding Silver medals for wines of distinction, Gold medals for wines of exceptional character, and Platinum medals for extraordinary wines that represent the very best in their class. In a unique twist to this very unique wine competition, all wines awarded Platinum are tasted and evaluated independently by Wine Review Online columnists Robert Whitley (Winemaker Challenge founder and Executive Director) and Rich Cook (Winemaker Challenge Director) and reviewed at WRO in the weeks immediately following completion of the Challenge. The 1002 wines entered were most in the nine years of Winemaker Challenge. From that total, only 45 wines earned a platinum award with a score of 94 points or higher. The 18 winemaker judges evaluated the wines in panels of three, with all the wines tasted “blind,” meaning the name of the producer and price of the wine were not revealed to the judges until after the results were declared official. For more details about the winery, call (336) 614-0030.